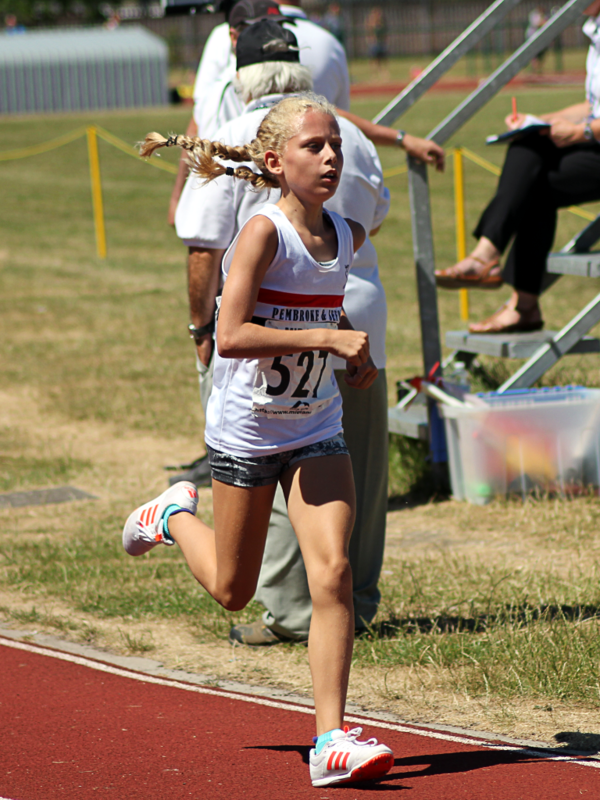 There was a record turnout of Liverpool Pembroke & Sefton athletes at the fourth Mid-Lancs League meeting held at Litherland Sports Park. 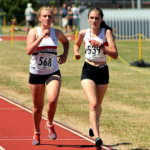 Eighty youngsters took advantage of the glorious sunshine to put on an impressive display which saw both male and female teams record comfortable victories. 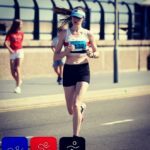 The girl’s team’s total of 195 points beat Preston (164) & Blackpool (121) while the boy’s total of 182.5 was too much for Blackpool (155) & Blackburn (144). The jumpers can always be relied upon for points and so it proved. 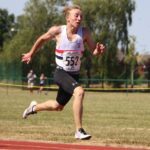 Kai Finch (SM) secured maximum points with his leap of 1.90m, while Tom Kwissa (1,85), Owen Southern (1.80m) & Jamie Hopkins (1.70m) made it a 1,2,3 at U17 level. 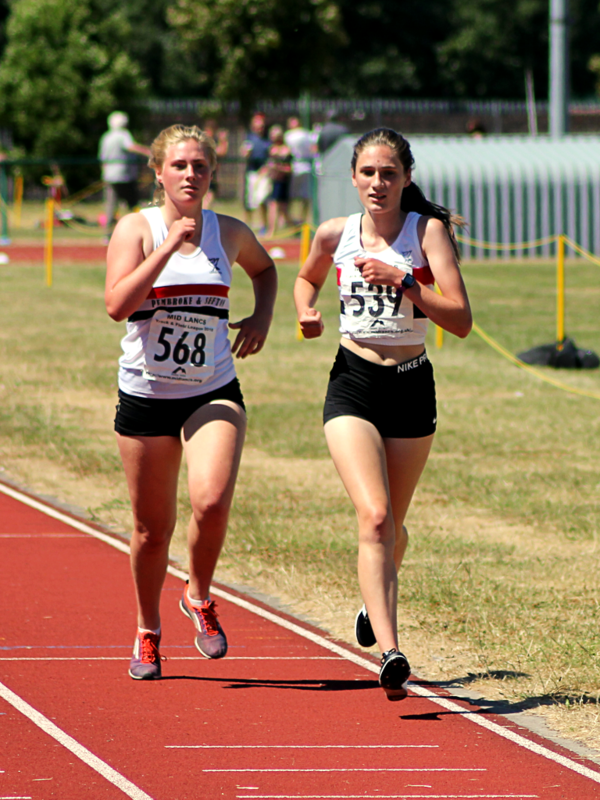 Debbie Dasse (SW) & Imogen Ayres (U17W) both cleared 1.50m to win their respective events. 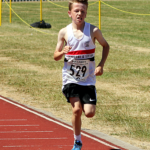 Jacob Garrity equalled his pb (1.55m) to finish 2nd at U15 level, as did Alexander Steele (1.35) at U13, while Niamh Doyle (1.45m) was 3rd U15G. 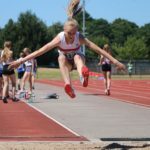 In the horizontal jumps, Matt Ingram(SM) comfortably won the long (6.81m) & triple jump (12.88m), Jamie Hopkins recorded a new pb in winning the U17 long jump (5.57m) and although below her best, Erin Birchall won the U17W long jump with 4.94m. 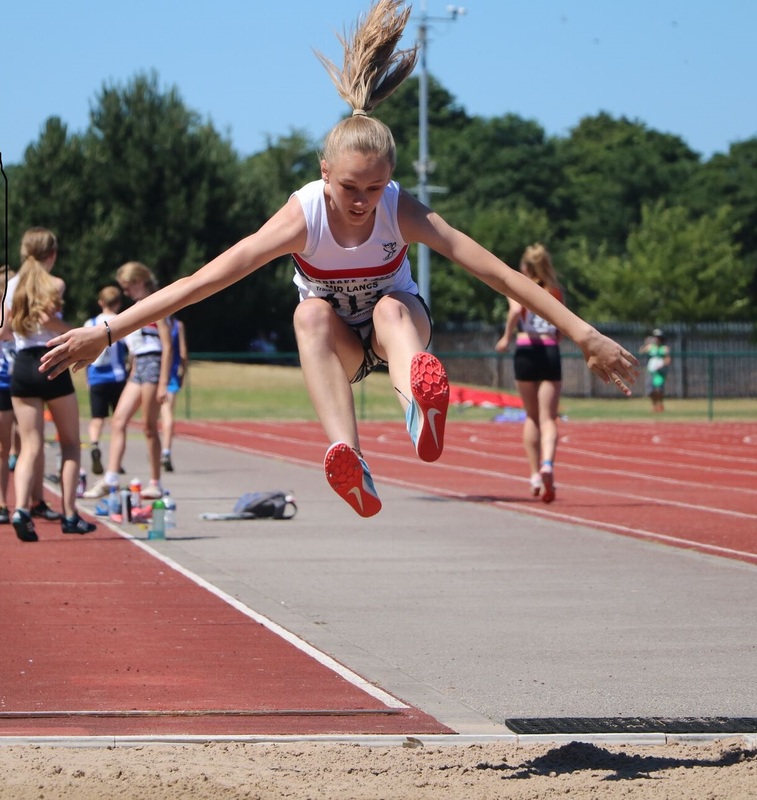 Grace Mitchell (U15) was 2nd in the long jump (4.54m) while Scarlett Whitfield was 3rd in both long (4.19m) & triple jump (8.85m). 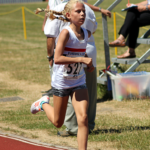 There were some impressive performances from members of the throws group, with Jack Bamber (U13) improving his pb in the javelin by over 7 metres to 27.45m to clinch first place, while Hope Kennedy got closer to the 30 metre barrier in winning the U15G javelin with a throw of 29.42m. 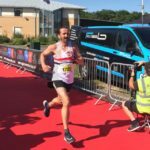 Two LPS athletes competed in the British Championships which were held at Alexander stadium in Birmingham over the weekend. 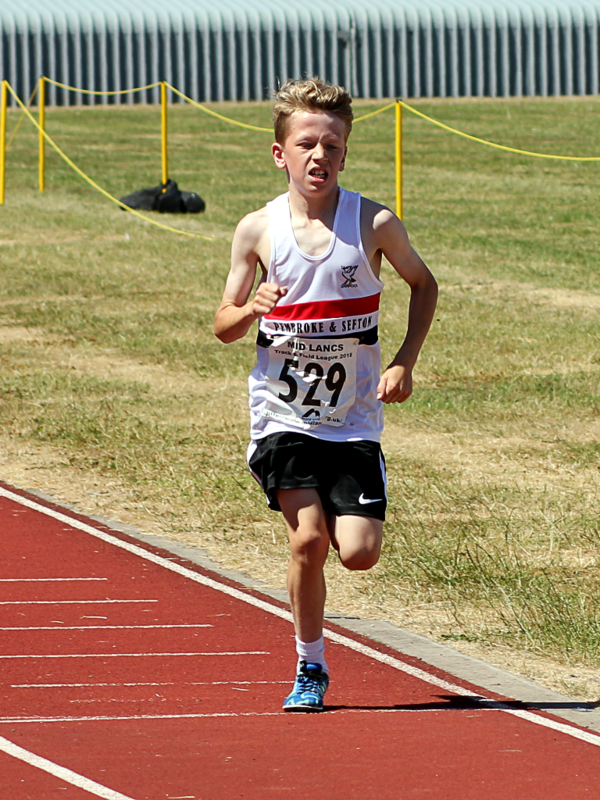 Elliot Jones continued his fine form by running under 11 sec. again. His time of 10.86 sec. 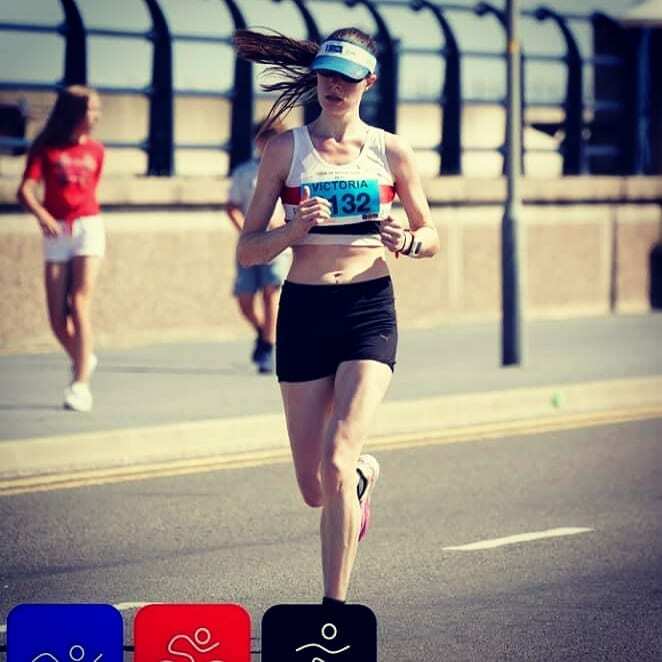 placed him 5th in his heat, but this was not sufficient to get him through to the semi-final. 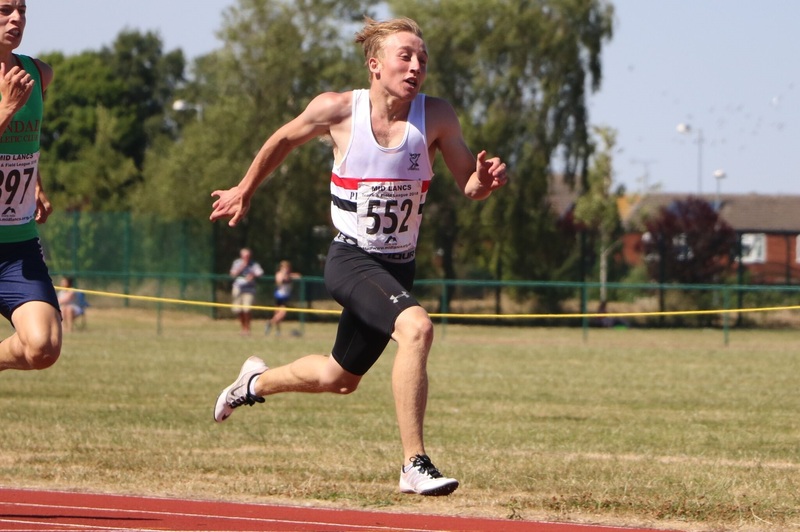 Michael Rimmer competed in the 800m, an event he has won on 5 previous occasions, but although he finished 2nd in his heat, his time of 1:50.70. was well below his season’s best and he did not qualify for the final. 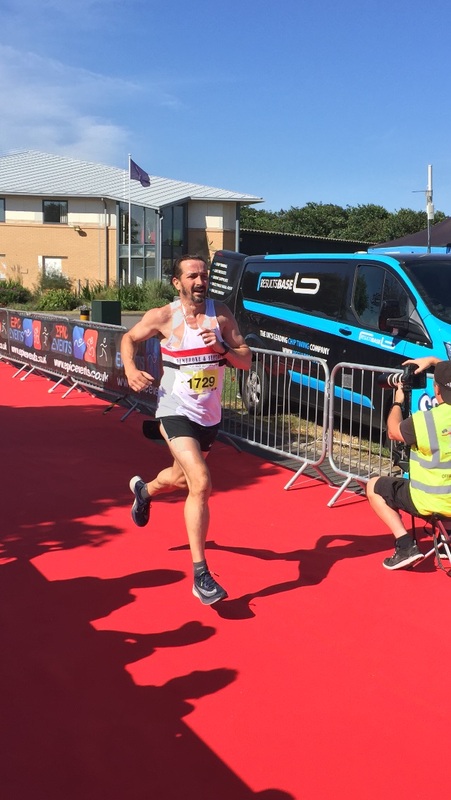 Despite the blisteringly hot conditions at Southport Andrew Foster finished 4th and first V40 and in the process he managed a new pb of 37.08.